Order your On Stage 2B Maple Drum Sticks from AMS and enjoy Fast & Free Shipping. Get the Best Deal with our Lowest Price Guarantee & Great Customer Service! 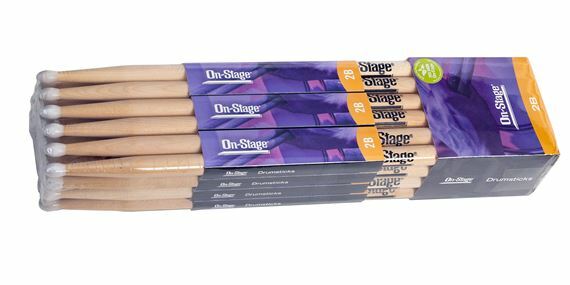 For wide-ranging use at lightning speed you need the On Stage 2B Maple Drum Sticks. Featuring maple wood construction and strong sound, these 2B maple sticks are logged, air kiln dried, shaped, sanded and sealed for optimal performance.